Aston Martin 'DBS 59' special edition: Update! 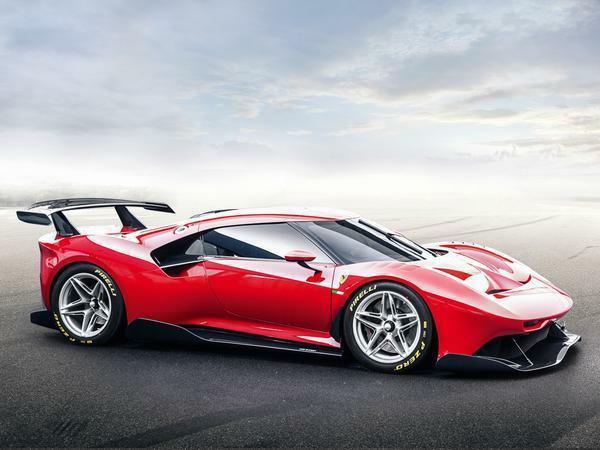 Ferrari has pulled the covers of a new 488 GT3-based track model that it claims is the most extreme one-off car produced in Maranello. 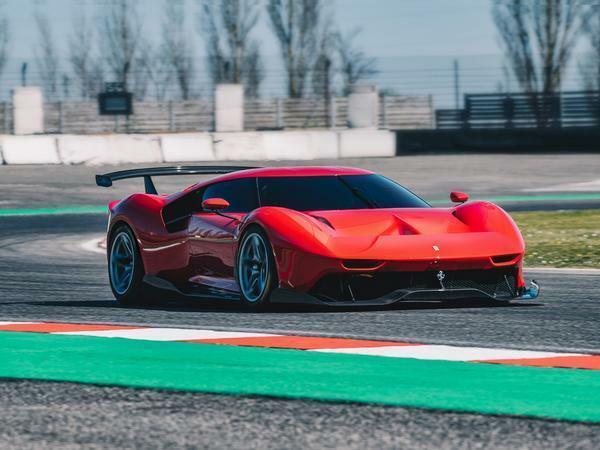 The P80/C, which is also the first race-spec Ferrari to be enhanced in this way, uses the longer wheelbase competition 488 at its core, but wears a completely bespoke exterior that takes influence from the classic designs of the 330 P3/P4 and Dino 206 S racers. The car was produced after a four-year consultation with a wealthy Ferrari collector, making it the longest running project of this type for the brand. In that time aerodynamicists have given the P80/C a low-set nose with openings in its middle, a wraparound windscreen and an extended rear deck. 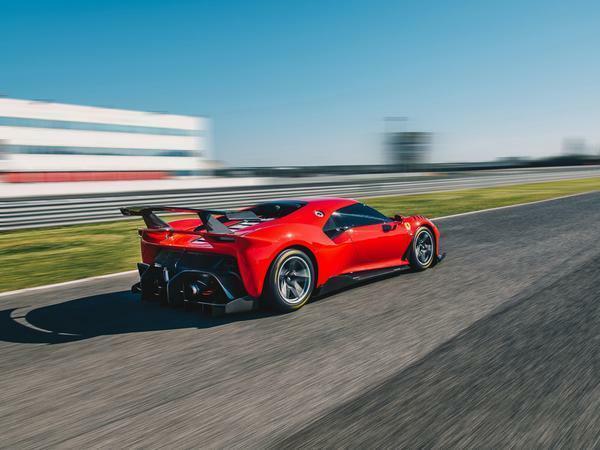 With no category regulations to worry about, the changes have helped improve aerodynamic efficiency by five per cent over the ‘regular’ 488 GT3. This aero boost is joined by a bump in performance from the engine. No longer strangled by Balance of Power restrictors, the 3.9-litre V8 is force fed air by its twin turbochargers and breathes through a race exhaust system unimpeded. While no power output has been provided, expect the road car’s 670hp output to be comfortably dwarfed. Drive is sent through a motorsport sequential gearbox and transmitted to the asphalt via slick rubber, which should make the P80/C a serious piece of kit on the race track. Or the most capable thing in the collection. 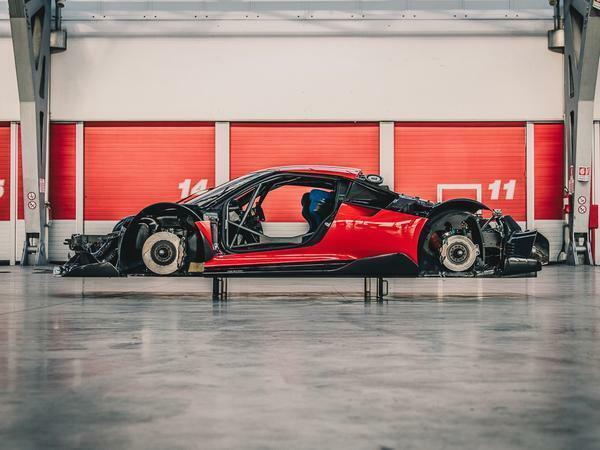 Inside, there have been few changes from the paired-back 488 GT3’s cabin because, to be frank, there’s not much more you can pull out of a racing car. The P80/C gets more carbon panels inside and different fabric for the seats, but these have no effect on the car’s overall weight. 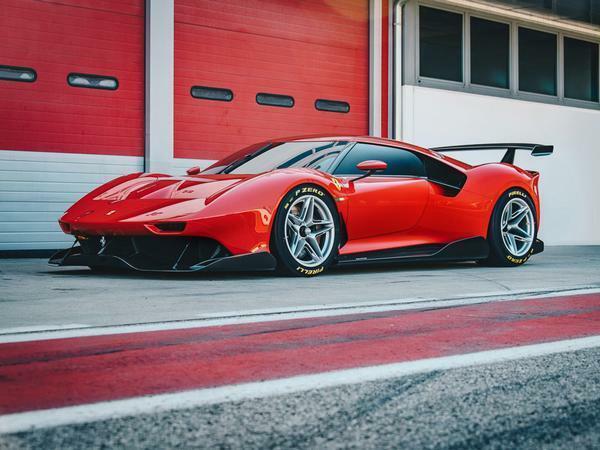 That number’s not been disclosed, by the way, but we know the 488 GT3 tips the scales at 1,260kg, so with about 700hp this one-off would produce a rather healthy 556hp per tonne. The cost? Ferrari never reveals the prices of its client cars, but as a bespoke, one-off model that took four years to develop, we’d hedge that it amounts to something deep into the millions of pounds. Eric Clapton’s SP-12, for example, reportedly cost him a cool $5 million. So, what do you think? Worth it? Can’t say I’m really feeling it. Looks a bit like it could be a new Chinese electric supercar, and the big intakes behind the windows make the side profile look ‘melty’. Perhaps I am missing something but for a completely redeveloped body a 5% increase in downforce doesn't seem that much for the work put in? Is that considered a lot in the of world high downforce race cars or in this case one off track cars? Not that it matters its a fabulous toy and im sure the owner is happy with it. "They want a new racecar to drool over?" 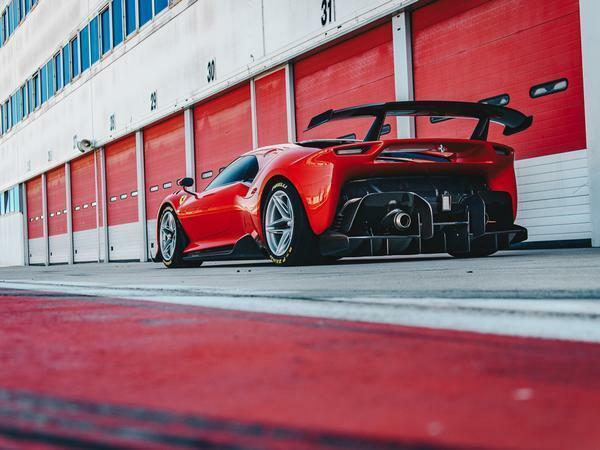 "Yeah, the 488 GT3 isnt cutting it anymore"
"But we are too busy trying to work out why Mercedes are thrashing us in F1"
"Well what do you want me to do"
"Remember when we removed the headlights and taillights from the Enzo and called it an FXX"
812 Superfast Nordschleife lap: Time For Coffee?